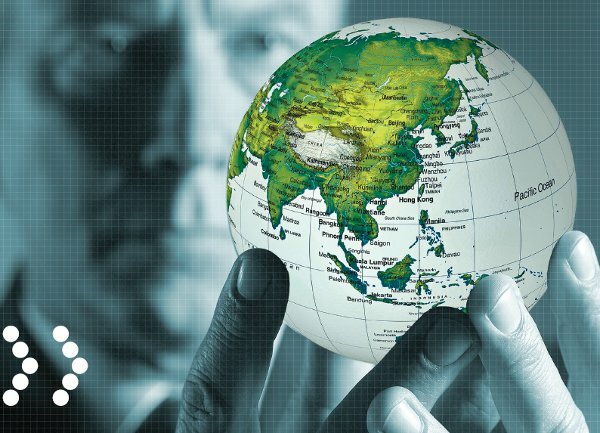 Accelerated growth and development prospects in India encouraged several industries and businesses to use Geo knowledge in India in the form of location data, GIS, remote sensing or GPS in different sectors like crime mapping, agriculture, irrigation, forestry, transportation, infrastructure, tourist industry, market analysis, real estate and e-commerce and so on. The increased use of this technology in different industries has improved the scope of job opportunities in this sector, but most companies only concentrate on GIS part and leaving other core knowledge of Geo-spatial which can also be used. On the personal note as I want to explore different branches of this so want to choose my career with the company which explore many of them. With the advent of new and advanced technology, the importance of Geo-spatial science is going to amplify with requirement of specialization in it specially in India. Indian Institute of Remote Sensing (IIRS) provides courses like M.tech and M.Sc in GIS & RS. You can apply for it. There s a company named gensys in Dehradun..n they are hiring interns.. should I go for it…can u plzz give me some info about the company..very confused..
Hello Sir, I am pursuing M.Sc in Geography. Can you please suggest me the career options for GIS? ?And how can I apply for the GIS courses?! please help..! Thank you Sir for your kind reply. Hello sir,i have done BE in computer science and i have interest in this field.So i am planning for further studies and at present my available option for Mtech in this field is in NIT Allahabad.. should i proceed for it sir?? What all knowledge should i have for having a good hold of this field?? Hi sir. I have completed B. E in E and C. I m planning to do MSC in Geoinformatics. Is it good to do?? What are the career opportunities in govt sector?? And I’m also interested in AI and big data . Sir… I m a student of msc geoinformatics 3rd sem in barkatullah university in bhopal Madhya Pradesh. Suggest me what can I do after this n which place I should do my project work in 4th sem? Sir…I have completed b.sc in Physics and also PG diploma in RFID & integration with automation system. Now i am planning to do M.Sc in geoinformatics , so is it good and beneficial for me to do?what are the job opportunities in govt and private sector? sir let me know which degree course i want to opt after plus two for doing this gis and rs.actually i elected geospatial technology as a combination paper in my plus two level by knowing these technologies i am very excited to know more about that.will you please give me a reply . Sir I am diploma student how I am make my career in Remote Sensing , Geoinformatics. Sir please tell me because my desire to work for ISRO. You have to do master in geoinformatics and then PHD. i am second year student of b.tech [planning ] in JNAFAU Hyderabad and my dream is to become geo scientist …plz suggest best institutions in india and abroad to do masters and ph.d in GIS/RS and i am planning to clear GRE in next 6 months afterthat next 1 year preparing for GATE-AR paper (ielts also). and which software skills are needed to achieve my dream ? plz guide me so that i can plan and prepare well. I see that you are experienced in Geoinformatics. How is Geoinformatics applicable in construction? I’m currently hold a degree in Architectural Technology and Construction Management. I have done my research and I read that Lidar lasers are being used to scan marine terrains and scan through building walls, automatically creating 3D model of them. Would you need a programming skillset for better understanding of Geoinformatics field?